Doctors rushed to save the leg of a woman with an open compound fracture. They did not amputate during that surgery, but her prognosis was shaky at best. 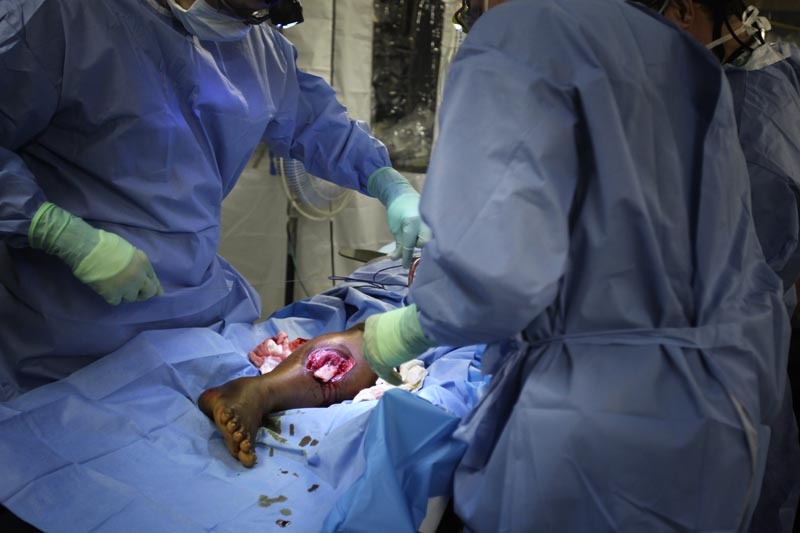 The medical teams did what they could to preserve limbs because of the huge challanges and stigma amputees face in Haiti.